Smallpox, Vaccinations, Infectious Diseases, Infection Control, Direct Patient Care Resources:"Smallpox is a serious, contagious, and sometimes fatal infectious disease. There is no specific treatment for smallpox disease, and the only prevention is vaccination. The name smallpox is derived from the Latin word for "spotted" and refers to the raised bumps that appear on the face and body of an infected person." 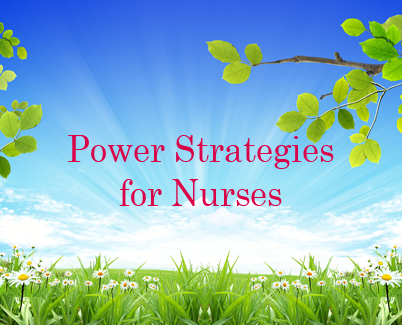 SOAP (ER) , Nurses Notes: DAR and Formats, Associated Content"When it comes to nurse's notes most student nurses are up in arms on exactly what they should be writing. A focal note should be one of the easiest tasks to chart, but many students still find themselves struggling. There are different styles when it comes to writing nurses notes and you will eventually come to find a method that better suits your needs or department"
Solganal, aurothioglucose, Gold Compounds (Salts), Rheumatoid. Arthritis (RA), Antiarthritis, Antiinflammatory Agents:"Aurothioglucose is a gold salt used in treating inflammatory arthritis. Exactly how gold salts work is not well understood. In patients with inflammatory arthritis, such as adult and juvenile rheumatoid arthritis, gold salts can decrease the inflammation of the joint lining." Soluspan®, betamethasone topical Corticosteroids, Steroids:"This medicine is used for the treatment of inflammation areas in the body. This can include severe allergies, skin problems, asthma, chronic obstructive pulmonary disease, organ transplantation, leukemias/lymphomas, brain swelling, ulcerative colitis, sarcoidosis, spinal cord injuries, Addison's disease, and arthritis. This medicine is used in many diseases where the anti-inflammatory or immunosuppressant properties are needed. Talk with healthcare provider. It is also used for a variety of skin conditions." Sorbitrate, Isordil, Isosorbide Dinitrate, Cardiac, Coronary Heart Medications, Nitroglycerin:"Isosorbide dinitrate is in a class of drugs called nitrates. Isosorbide dinitrate dilates (widens or relaxes) blood vessels (arteries and veins). When blood vessels are dilated, it is easier for the heart to pump. Also, more blood, which is rich in oxygen, can flow to the heart. Isosorbide dinitrate is used to treat attacks of angina (sublingual and chewable tablets) and to prevent attacks of angina from occurring (capsules and tablets)." ER:"Media products under your influence, particularly the NBC/Warner drama "ER," are harming the profession of 2.7 million American nurses by giving the public an inaccurate and inadequate account of what nurses really do to save and improve lives. Research suggests that "ER" strongly and negatively influences the way children view nursing. These products contribute to the nursing shortage, a public health crisis that threatens millions worldwide." House, MD:"The main patient in tonight's episode of Fox's House was a nurse who believed that a cat tended to sit with those who were about to die--including, recently, the nurse herself. That may not sound like a promising vehicle for House to improve its abysmal portrayal of nursing. But the show actually presents the nurse as someone with health knowledge. And her search for meaning in faith, for some reason in tragic events, is a real counterpoint to House's cold rationality. Indeed, despite the obvious potential for mockery in the cat angle, the mighty House treats the nurse with considerable respect--he seems to care what she thinks, or at least to find her views unnerving. Of course, the nurse plays no real clinical role in the episode, and no other nurses do either. So the episode suggests, as usual, that physicians provide all important care in hospital settings, including all meaningful psychosocial and physical care. Still, any suggestion that intelligent life resides in a nurse is a welcome departure for House (and for the episode's writer Peter Blake, who also penned a November 2005 House episode that was notable for its physician glorification and its casual contempt for other health professions). Tonight's episode, "Here Kitty," drew 13.1 million U.S. viewers. more... see the relevant film clips... and please join our letter writing campaign!" Private Practice:"ABC's Private Practice, whose season ends tomorrow, April 30, may be the only broadcast network show with a major nurse character to return next season. In the February 5 episode (Mike Ostrowski's "Acceptance," 13 million U.S. viewers), lone nurse character Dell Parker, who is studying to be a midwife, shows some tentative clinical aptitude and knowledge to go with his boyish eagerness. Under the close supervision of OB/GYN Addison Montgomery, Dell ably performs a vacuum-assisted delivery. Later he haltingly guides the baby's parents toward breastfeeding. Dell also performs an assured solo ultrasound of pregnant psychiatrist Violet Turner, calming her panic attack and eliciting her agreement to his own suggestion that, though he's "not a doctor," he will likely become a "pretty good midwife." The show still condescends to Dell, who is also the office manager/receptionist at the LA clinic where the show is set. In the March 26 episode (Craig Turk's "Do the Right Thing," 10.1 million U.S. viewers),"
"Scrubs" defines nursing:""Scrubs" defines nursing: it's all about shutting up and following physician "orders. " Tonight's episode of NBC's "Scrubs," which purports to teach nurse Carla Espinosa that nursing is all about doing what physicians tell you, is one of the most virulently anti-nurse prime time television episodes the Center has ever seen. more..."
Are good CNA jobs that hard to find? More Foreign Nurses, Is It A Plot? Nurses Aides, Can't Live With Them. . .